Text Control Reporting provides many different report types that can be combined as well. 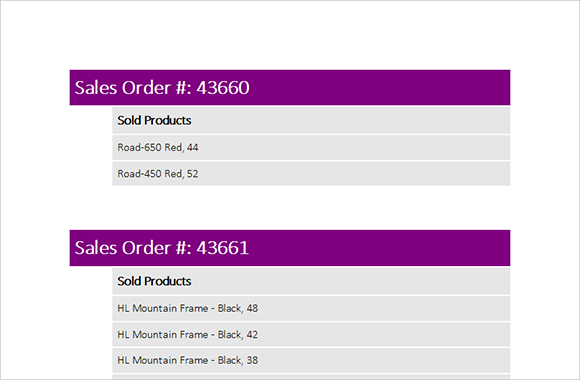 From simple Mail Merge- and Table Reports to Master-Detail, Side-by-Side and Sub-Reports. 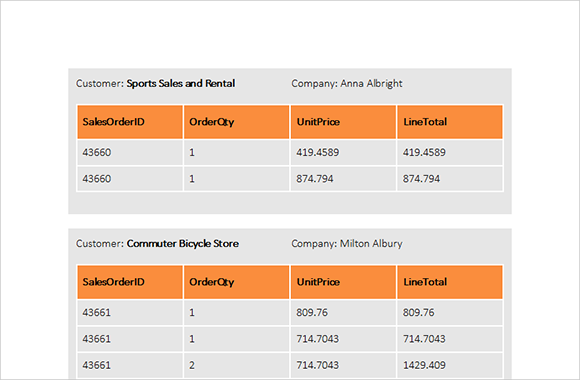 Table reports display 1-dimensional, not hierarchical data in tabular form. 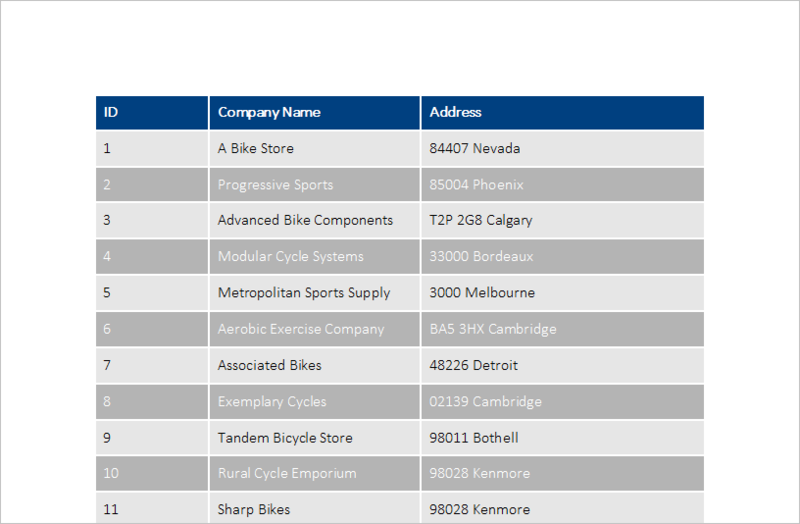 Typically, the data that is used to merge a table report is stored in a single DataTable. This concept is used to present product lists, check lists or inventory items in a flat table form. A Master-Detail report renders data from a hierarchical data source such as related tables or nested objects. Consider a data structure for a product order: The master table contains general data about the order and the detail table(s) contains detailed data such as the sold products. A Sub-Report is a report in a report. Using Text Control Reporting, you can have unlimited nested reports in your main report with a different or the same data source. Inside of a Sub-Report, you can access data from parent data relations. A Side-by-Side or Multi-Column report represents data in multiple columns. 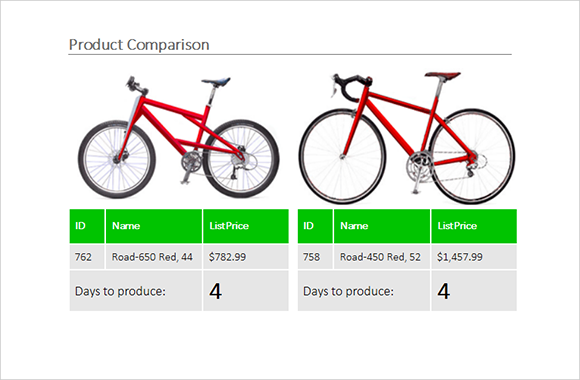 This can be useful for comparison reports or label printing. The direction is always "down and then across". A Mail-Merge report is a fully featured word processing document with merge fields, image placeholders or barcodes that is merged with data from one or many data sources. 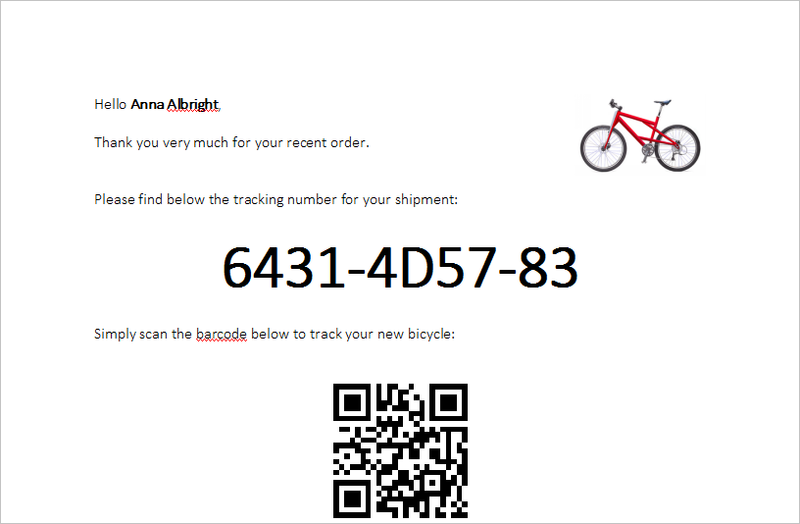 Typical applications are order or shipping confirmations. Typically, mail merge is combined with one of the other report types. For example in an invoice which is a combination of Mail-Merge and Master-Detail reports. All of these report types can be combined with Text Control Reporting. It is not limited to a fixed layout or structure - this is the advantage of Flow Type Layout Reporting.